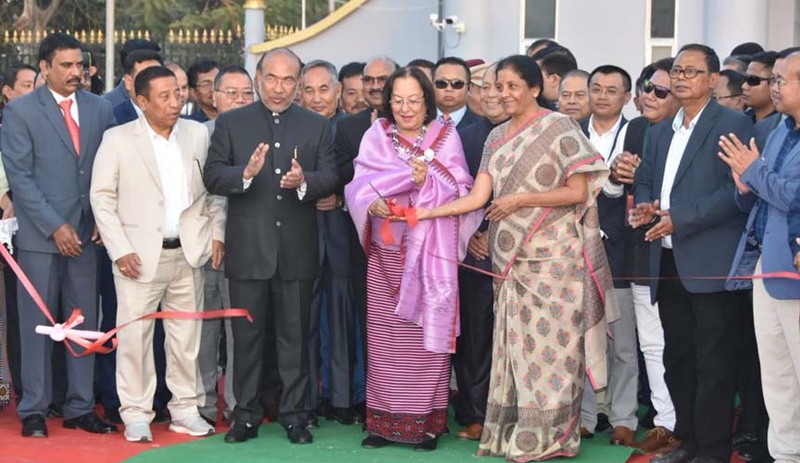 India’s Defense Minister, Nirmala Sitharaman, inaugurated the Sangai Festival, the annual mega event to promote the tourism industry in the state of Manipur. It is held at the Bheigyachandra Open Air Theatre (BOAT) at Hapta Kangcheibung in Imphal’s Palace Compound, the main venue of the festival that took place yesterday. 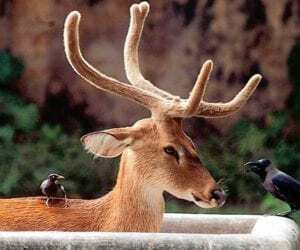 The Festival is named after the State animal, Sangai, the brown-antlered deer, aka dancing deer, found only in the Manipur’s Bishnupur district. Launched in 2010, the festival has grown over the years into a big platform for Manipur to showcase its rich tradition and culture to the world. The festival is labeled as the grandest festival of the State today and helps promote Manipur as a world class tourism destination. Every edition of the festival showcases the tourism potential of the state in the field of arts & culture, handloom, handicrafts, indigenous sports, cuisine, music, and adventure sports of the state, to name a few. Manipur’s classical dance form, Ras Leela; indigenous sports; adventure tourism activities; and more will be highlights of this year’s festival. The festival will also bring to light an array of Manipur’s best indigenous handlooms and handicrafts products. The themed huts of the variety of tribes at the heritage park will represent the living style of these tribes and exhibit their indigenous products. The artistry and creativity of the tribes of Manipur will be seen in their handloom and handicrafts products which are otherwise not widely available in the market. Not to be missed is the most exciting part – the 12th edition of the Manipur Polo International Festival, in which teams from England, the US, Haiti, Uruguay, and of course, India, will participate. The Manipur Sangai Festival 2018 promises to tickle the taste buds of visitors with stalls rustling up local delicacies. Manipur’s traditional dishes include Nga-thongba (fish curry), Eromba (a dish prepared with boiled vegetables and fermented fish), Ooti (mustard beans), Bora (pakoda), Paknam (a baked cake of gram flour mixed with other ingredients), Singju (a spicy hot traditional salad), and Brown-rice Kheer, etc. Unlike the previous editions of the festival, the 2018 edition of the Manipur Sangai Festival will be organized at different locations in Imphal and the Bishnupur District. Sobriqueted as the “Land of Jewels,” the State of Manipur is blessed with spectacular landscapes sheathed amidst gentle undulating hills, emerald verdant valleys, serene blue lakes, and dense forests. Many poets and writers over the years have penned poetry and prose praising its peacefulness and beauty. Aftab Husain Kola is a senior journalist and writer who has worked with Times of Oman, Muscat, for 12 years. He has contributed to Arab News, Saudi Gazette, Deccan Herald, Indian Express, and Brunei Times. Aftab regularly writes for different in-flight magazines. He authored two books. He has been a long-time eTN correspondent in India. How did your U.S. Airport rank in customer satisfaction? North America airports have managed to shrug off the potentially disruptive effects of record passenger volumes and massive construction projects to achieve a record high in overall passenger satisfaction. According to the J.D. Power 2018 North America Airport Satisfaction Study.